Israel’s defense company Elbit Systems has won a contract worth $200 million to supply Switzerland with six surveillance drones. The Swiss Federal Department of Defense, Civil Protection and Sport (DDPS) signed the contract with the Israeli company two months after the Swiss parliament approved the deal. The model, Hermes 900, was chosen by the Swiss government in June 2014. Elbit will supply the Hermes 900s with a heavy fuel engine, a requirement of the tender issued by the Swiss government. Already known for its defense exports, Israel has become a veritable giant in the global market for unmanned aerial vehicles. According to Hebrew-language daily Haaretz, in mid-2013 Israel was exporting 60 percent of the drones purchased worldwide, making it the No. 1 exporter of UAVs. 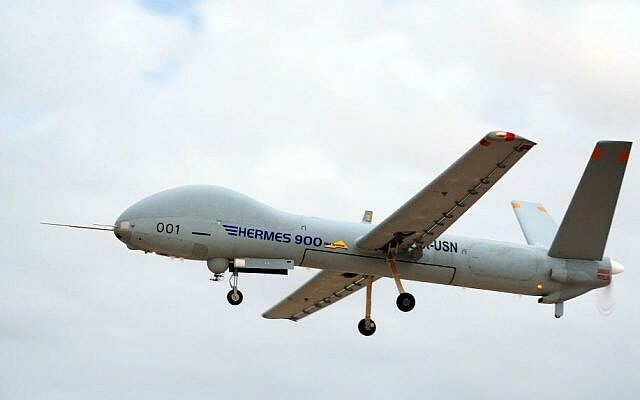 In a telling sign of the degree to which the country controls the market, the Hermes 900 by Elbit faced competition mainly from the Super Heron, a heavy-fuel derivative of Israel Aerospace Industries’ Heron UAV, developed specifically to compete in the Swiss tender. 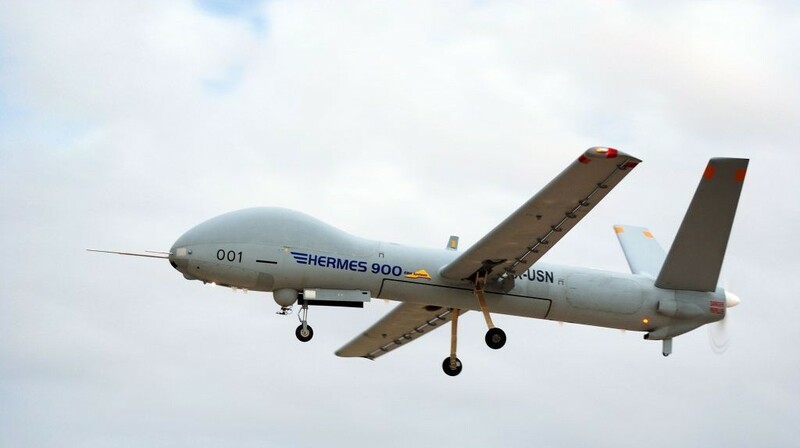 Furthermore, the Hermes will replace Ruag ADS 95 drones, also produced by IAI. The Ruag UAVs are expected to be retired from service in 2020. All six Hermes drones will be delivered by then, according to the contract. “Switzerland is a very important market for Elbit Systems, and we are very proud of the DDPS’s decision to choose us as the supplier of the Hermes 900 HFE, a high-end and market-leading platform,” Bezhalel Machlis, president and chief executive of Elbit Systems was quoted by the website Flight Global as saying Wednesday. The Hermes 900 is a large drone with a wingspan of 15 meters (49 feet). Weighing in at nearly a ton, it can fly for 40 hours and has a range of nearly 10,000 kilometers (6,214 miles). The Hermes can be flown carrying a wide variety of sensors, including radars, as well as electronic warfare and eavesdropping equipment. It is operated by a ground crew of two people. While the drone can be armed and is used as an attack UAV by the Israeli Air Force, Swiss reports say that Bern ordered the drone for intelligence purposes. In Israel, it was used in theater for the first time during last year’s Operation Protective Edge conflict with Hamas in the Gaza Strip. The drone has also been sold to the Brazilian, Mexican and Chilean armies. According to Israel’s news website Ynet, the Swiss deal was preceded by a serious political debate in Switzerland, with opponents arguing that Elbit-made UAVs have been used by the IAF in targeted killings in Gaza in which some civilians were killed.